Global food insecurity and hunger are present everywhere around the world: from urban slums and isolated communities in the developing world, to cities in industrialized countries. Defeating hunger and food insecurity is possible. It needs people who can think, evaluate, and then propose action. Choose the Global Food Security Program and be part of the solution! This major will provide you with a broad background, preparing you to work for governments and non-governmental organizations as well as in the public and private sectors. This program offers you the unique opportunity to combine your studies in many different areas. You will learn about issues such as public health and food safety, international development, water resources and environmental sciences, as well as agriculture and nutrition. It is a combination of coursework and practical experience, including the option to participate in a hands-on experience in a developing country. You will meet the locals and work with them, developing projects in their communities. These activities are designed to help you deal with the challenges facing the world in achieving food security. 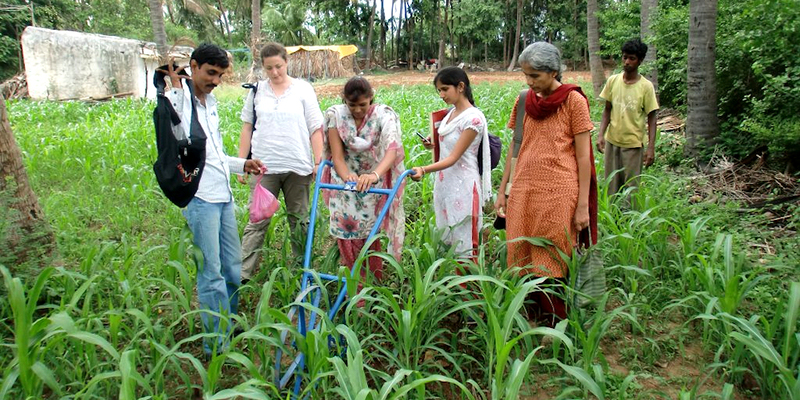 Students enter this specialization to acquire a global and applied understanding of agriculture as a fundamental tool to help rural development, alleviate poverty and reach food security, especially in the developing world. This program provides students with a combination of coursework at McGill together with a hands-on experience in a developing country, meeting locals and attending courses with McGill professors and/or local instructors. The costs of these field experiences may vary. The field experience (semester, short course or internship) includes developing projects in local communities, observing subsistence agriculture in situ and participating in various activities which contribute to sensitizing the students to the challenges that developing countries face. Students study water resources, sustainable development, nutrition, planning and development, and a host of other fascinating topics, allowing them to sharpen their skills for future career opportunities. Students select either Option A or Option B. Agriculture: Travel and exposure to a foreign agricultural sector where sustainable agricultural practices (e.g., organic farm production, ecological management of pests and weeds, crop rotation, water conservation, etc. ), regulations, and policies are examined within the context of land use, local economies, and food security issues. Field studies provide practical experience and a chance to integrate and apply knowledge gained in the classroom. This is a 3-credit intensive course that includes travel and/or attend lectures/field visits on each day of the course. Experience tropical cropping systems, from industrial export crops to traditional Mayan milpa systems, through interactions with local field professionals, farmers, community members and professors. Assess the impact of these systems on food security and the environment in Guatemala. The Bieler Family Internship Office helps to facilitate student internships by offering students guidance on which internships to pursue, assisting with paperwork and applications, giving information on funding and awards and offering advice on cover letters and resumes. In addition to the placements the office coordinates, students are encouraged to search for their own internship opportunities. Graduate programs are offered by all of the academic units on the Macdonald Campus and are based on the research interests of individual professors.